What does the pursuit of the perfect yard say about us? In the nights that followed, Robbins lay awake thinking about his patchy lawn and his neighbor’s comment. He felt swayed by the slew of lawn maintenance company flyers hitting his mailbox promising lush, green grass. Yet he was torn. 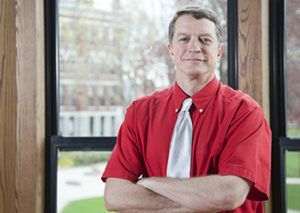 As a professor of geography at The Ohio State University and an avowed environmentalist, how could he even consider using chemicals to protect his grass from the much-dreaded Glechoma hederacea? Robbins’ work focused on a $70 billion lawn-care industry that relies on homeowners’ fears and anxieties about the state of their yards. Robbins became, as one colleague joked, “the godfather of lawns.” Every spring, national media ask him to weigh in on lawns and the conflicts they generate, like homeowners associations suing residents over lawn upkeep, or neighbors battling neighbors about unkempt yards. The seeds of Robbins’ research were sown at Clark, where he became so fascinated by grasses as a doctoral student that he hung dried samples of every variety of native Massachusetts grass above his desk. 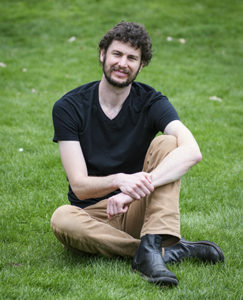 Now director of the Nelson Institute for Environmental Studies at the University of Wisconsin-Madison, he understands geographers’ continuing fascination with lawns. Lawns are “the dominant human habitat in the United States, and if we don’t get a grip on that, we’re going to be in trouble,” Dexter Locke, Ph.D. ’17, says. The stereotypical American lawn — that velvety carpet of turfgrass — grew out of the 1950s suburban housing boom. Even today, newly created residential yards and lawns are encroaching on forests, fields and even deserts. Despite the costs and challenges of establishing lawns in inhospitable places, most Americans still pine for neat, green, weed-free landscapes, according to researchers. From 1982 to 1997 in the U.S., the amount of land turned into urban areas — mostly suburbs and “exurbs,” those pockets of high-end housing that pop up amid forests and farmland — grew nearly 50 percent to comprise over 540,000 square miles, approximately equal to Texas, California and Colorado combined. 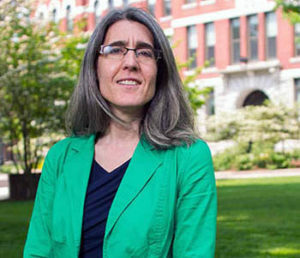 Much of Clark’s research on lawns has been funded by the National Science Foundation’s Long-Term Ecological Research (LTER) and Macrosystems Biology programs, which have supported work in Baltimore, Boston, Miami, Minneapolis-St. Paul, Phoenix and Los Angeles. 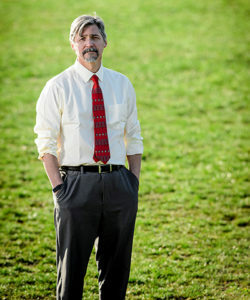 “There is still a surprising commitment to the lawn,” says Rinku Roy Chowdhury, Ph.D. ’03, associate professor of geography, whose research has been funded by the National Science Foundation’s Long-Term Ecological Research (LTER) and Macrosystems Biology programs. Roy Chowdhury and Polsky’s four-year study investigated whether America’s urban landscape is becoming homogenized by people’s fascination with the weed-free, evergreen lawn. They and their colleagues interviewed homeowners and collected social and ecological information, which was integrated into detailed geographic information system datasets. Among other findings, researchers discovered that water and fertilizer use across the six cities is surprisingly similar. In pursuit of the verdant lawn, people in the wettest place (Miami) watered their lawns almost as much as those in the driest (Phoenix). Meanwhile, Americans also fertilized their lawns at similar rates: generally between 52 and 71 percent of homeowners across the country fertilized once a year. Economics, race, income, family size and age also determine how people interact with their yards, and how different social neighborhoods come to have particular kinds of tree or vegetative cover. For instance, many researchers point out that low-income urban areas tend to lack amenities such as parks, greenspace and tree cover, exposing them to “heat island” effects. Can we reform the lawn?Undergraduate and graduate students working as part of Clark University’s Human-Environment Regional Observatory (HERO) Program interview homeowners in the suburbs north of Boston to uncover how people relate to their yards and lawns — and those of their neighbors. According to Roy Chowdhury, homeowners and residents also face neighborhood peer pressure, covenant codes and restrictions, homeowner association rules, municipal zoning ordinances and irrigation regulations, such as those facing drought-plagued Massachusetts last summer and fall. Often, lessening the environmental impact of lawns comes to depend on the mix of pressures to maintain homogenous turfgrass, and of aspirations and support to create more ecologically diverse spaces. 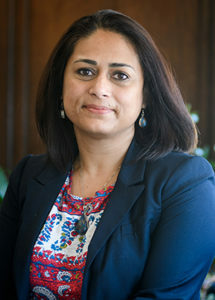 In a new National Science Foundation-funded study, Roy Chowdhury and her colleagues are investigating the future of residential landscapes, and the forces that shape homeowners’ decisions to maintain or change their yards and lawns. Linked to this, they are exploring how new actors and networks, such as tree-planting groups, neighborhood gardening councils or municipal ordinances, may support ecologically friendly alternatives to residential lawns. As part of a long-term study, Geography Professor Gil Pontius and his students have mapped out the encroachment of lawns on the Plum Island ecosystem in Massachusetts. Clark Geography Professor Gil Pontius has been involved in a long-term study of the Plum Island ecosystem, encompassing the Parker and Ipswich river watersheds north of Boston. Professors Pontius and Polsky worked with undergraduate and graduate students in Clark’s Human-Environment Regional Observatory (HERO) Program from 2007 to 2012 to convert aerial images to fine-resolution maps for 26 towns in the 710-square-mile area. The maps show that lawn cover ranges from about 2 percent of the land in Essex to nearly 12 percent in Peabody. “These towns are regularly having to institute watering bans in the summertime, and one of the primary reasons the aquifers are running dry is because people use so much water to maintain their lawns,” Pontius says. Lawns create a harder surface than forests, he explains. When rain hits a lawn, it doesn’t puddle and slowly sink into the earth, developing a rich habitat and a deep underground aquifer. Instead, it immediately rushes into storm drains and downstream. “So what you tend to get are floods in the springtime, and they’ve had terrible floods in Ipswich,” Pontius says. When conducting research and interviewing homeowners on Plum Island, Geography Professor Deborah Martin and her students discovered that not all parts of the lawn are treated equally. But do homeowners continue to adhere to the culture of lawns? And if they do, why? Under Martin and Polsky’s direction, HERO students talked to homeowners in the Plum Island area about their attitudes toward their lawns and the measures they take to care for them (see below). Does a homeowner treat the backyard differently, he wondered, if the neighbors can’t see it? Do front yards in most neighborhoods look similar, while backyards better express people’s individuality? Locke’s original research across the country has uncovered that in Los Angeles and Salt Lake City there are on average 10 to 20 percent more intentionally planted species of vegetation thriving in backyards versus front yards. But the number of species found in just the lawns — not the entire yard — is essentially the same from front to backyard. These findings lend credence to his Landscape Mullet Hypothesis, he says. They also connect, in some ways, to what Robbins found in his research. In other words, rather than water, fertilize and mow the grass, they’d rather host a party.